Thanksgiving is a great holiday if you love food like we do. Here are some of our favorite Thanksgiving foods. 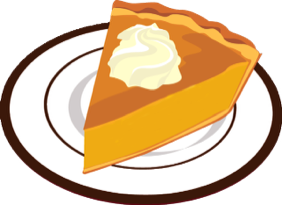 We love pumpkin pie, with whipped cream. Juice cocktail (no alcohol of course) because it taste just like soda but more fruity, and it feels fancy. We like turkey too, because that's what you should eat at Thanksgiving. Some of us have special dishes that are part of our family traditions, like spinach ravioli, or ice cream and cherry layer desert. Some us even have Doritos! After dinner we play with our families, like cousins we only see at holidays.